Table features unique, hazy, feather-like grain pattern that only Elm wood can create! 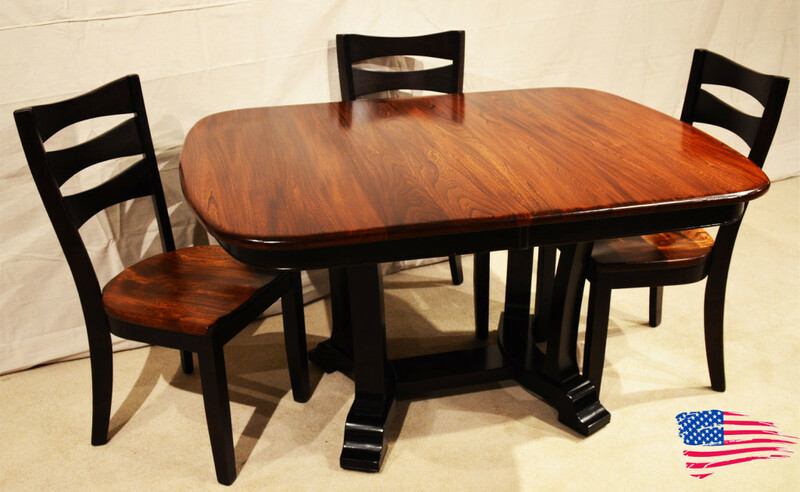 The set is two-toned with brown maple in a dark stain to lift the spectacular Elm grain. Made in USA! Table shown: 42 * 54″ and extends to 65-78″ with leaves.